Truro Schools’ ESAA champion Harris Mier won the under-15 race in 13:15, while Alex Thompson followed up his win in the Liverpool Cross Challenge last week with another impressive victory. Bethan Morley improved on her tenth place last year to win the under-15 race. Beatrice Wood, who only started competing this year, won the under-13 race by four seconds. A full report and photographs will appear in this week’s AW magazine. 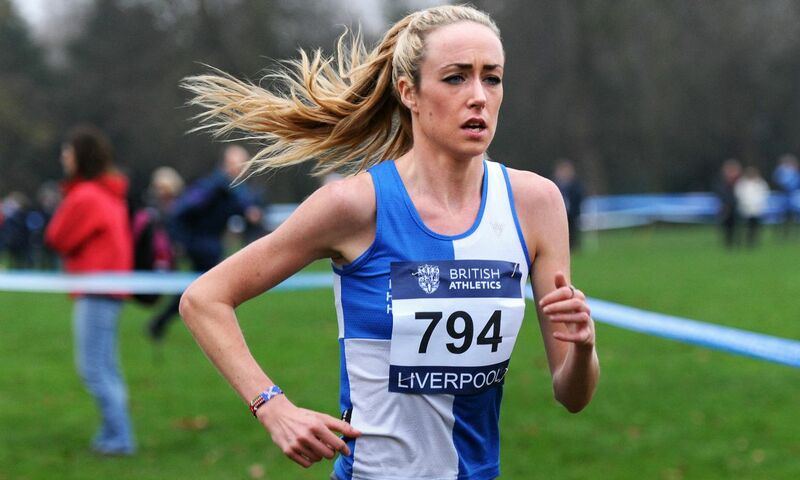 Olympic 5000m finalist Eilish McColgan finished sixth overall and first female in a 22-second PB of 32:30 to go top of the UK rankings. Mohammed Abu-Rezeq won the men’s race by almost two minutes in 29:57. Richard Horton won in a time of 30:45 from Dom Nolan as Loughborough won easily taking four of the top five places. A report plus photographs will appear in this week’s issue. Rosie Kean ensure a Luton double with a dominant women’s win in 20;03. Harvey Dixon comfortably won the men’s 10km race in 31:15. Louise Small made it an Aldershot double winning the women’s 6km in 21:05. The best quality race was the under-17 men’s where Zak Mahamed narrowly beat Lachlan Wellington. A fuller report will appear in this week’s magazine. Fifteen year-old Alex Brown, who was second earlier in the year in the Inter Counties, National and South of England Championships, pulled off a surprise senior win one second ahead of Steph McCall. A full report will appear in this week’s issue. There was a surprise in the M40 race where Alex Gibbins outsprinted 2015 British Masters International winner Chris Greenwood. Maria Heslop followed up her overall win in last week’s Kent women’s league with another victory denying W50 Clare Elms her ninth overall title, though Ben Reynolds did defend his M50 title from another Masters International winner Graeme Saker. Andrew Douglas won the men’s race from Lachlan Oates and Tewolde Mengisteab. Nicola Hood was the women’s winner ahead of Katie White and Michelle Sandison. Morag MacLarty won her fifth East District championship title from Steph Pennycook, while Kristian Jones took the men’s title from Michael Christoforou. John Newsom regained the senior men’s title ahead of Kenny Wilson, while Moira Davie also repeated her 2014 victory with a senior women’s win from Helen Gertig. Ruth Barnes finished third overall in 34:30 in a race won by M40 Ewan Malloch in 34:00. M45 Rob Affleck won in a time of 54:11, while under-20 Elizabeth Greenwood won the women’s race in 62:36. Steve Bateson’s photographs will appear in this week’s issue. This race, which has been held for over 50 years over a variety of distances and courses, was won by John Sanderson in 37:14. Georgie Bruinvels was a clear women’s winner in 42:15. Matt Sharp won in a fast time of 23:42 from Phil Wicks’ 23:49. Emily Wicks was first woman in 27:56. It was the 70th running of this event. In the 57th running of this race, M65 Mark McNally won the race off a handicap of nine minutes in a time of 26:57. The fastest time was set by Kurt Heron with 28:13. Les Venmore’s report and David Hewitson’s photographs will appear in this week’s magazine.